Most places in India are facing the impact of the mercury shooting up. Sweating, rashes, sunburns and fungal infection, the onset of the Pitta season brings all of these problems. Pitta is associated with hot, sharp and oily. From switching to cotton clothing to eating the right food, we don’t stop at finding remedies for body heat. The simple solution to combat the Pitta season is to consume things which have an effect that is cooling, hydrating and soothing. 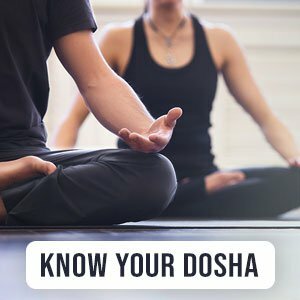 Don’t know your dosha yet? Head over to the quiz section here and find out if your dosha makes the summer season worse for you or not. Drinking something cooling and hydrating can help prevent breakouts, rashes and replace fluids lost by perspiration. This is why we need to drink more water in the summers to offset Pitta’s heating and drying nature. Make a chiller which everyone will love. Take a tall glass of chilled milk with a large dollop of rose petal jam (gulkand) and some rock candy (mishri). Garnish with crushed pistachios for a more delicious and appealing drink. Benefits of gulkand with milk includes it’s ability to pacify the indigestion and hypertension. Gulkand also works wonders for your skin. The mishri and milk combination has a cooling effect on your body according to Ayurveda. This watermelon juice recipe has a secret taste tip. To make it, you need lemon juice, rock salt and some mint. Mix mint and lemon juice. Since lemon will be at room temperature, freeze watermelon chunks and put them in which makes for a stronger flavor. Ice has a heating effect on the body according to Ayurveda while fruit like melons are cold in nature. You can make this syrup and store it in the fridge. All you need is to mix this syrup with water and you have a relaxing drink ready. Take lemon juice, sugar, ginger and mint. Mix them together. At the time of drinking, garnish it with some chaat masala or rock salt for a tangy twist. Amla has 450 milligrams of the vitamin that gives us our immunity in summer. It’s also rich in iron which is great for women. You can add a tangy twist to your lemonade and add in some amla juice as well. It tastes delicious and is so good for you! Not only are the ingredients that we spoke about good for your body, you can put them on your face and hair too. Use lemon and mint face pack to calm down irritated skin and for an astringent effect. Sandalwood to help deal with tanned and sunburnt skin. Mix amla with other powdered herbs like shikakai, methi and reetha or make a simple mask with amla juice and egg. – Having raw mango with mishri and fennel is super cooling for the body. All these three ingredients are used for their cooling effect. Mishri and fennel are often consumed post-meals to aid with digestion. Aam Panna is another Indian household favorite which is preferred by one and all. – Onion juice cuts down on the heat inside your body. One spoonful of it along with your regular fluid intake can be quite helpful. If you have overheated your body from being out in the sun, have some raw onion or onion juice. Onion juice also works wonders for hair health. – If you’re bored of glugging down one juice after the other, take one cup of pineapple puree with half cup of coconut water. Blend these two well and set it in a kulfi or ice-cream mold for healthy popsicles to cool to down. Thank you to everyone for contributing to this fun session. See you on Thursday at 1:00 PM at Facebook for more tips about bringing Ayurveda to everyday life.